Inheritance is the most important and useful feature of an Object oriented language. 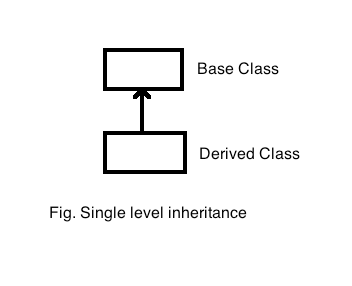 Inheritance is a kind of parent and child relationship or Base Class and Derived Class hierarchy. visibilityMode indicates the visibility of base class member in derived class. It can be private , public or protected. Circle class is derived class of class Shape with public visibility modifier. Now circle is called as derived class or child class and Shape class is called as super class or parent class. All the member functions in shape class like an area() method is available in derived class. Plus we added one extraFeatureMethod in derived class.